Think about the end of the year. You will have accomplished a great deal, and your students will have done the same. An entire school year provides so many opportunities for amazing things to happen. But I’ve never had a school year go perfectly. Certainly there is plenty that can happen that is clearly out of our control. But there are always things that happens throughout a year that I have full control over and wish I could go back and change when the end of the year rolls around. So I want to lay down a little challenge—both for you and for myself. 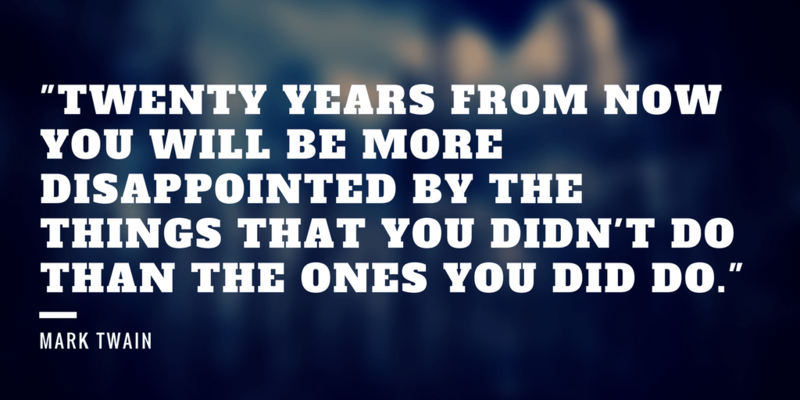 What do you want to make sure you have no regrets about? Is it connecting with one particular student? Is it speaking up about something that’s been gnawing at you? It is trying something new in your classroom? Is it taking a different approach to discipline as an administrator? Is it wrapped up in random acts of kindness? Is it taking time to take care of yourself? Is it finding someone you trust to share what you are really working through as a teacher? Is it connecting with that colleague who never seems to be included? What is it that you want to be sure you do not regret at the end of the year? I want to end the year without any regrets. I want you to do the same. But that won’t happen by accident. 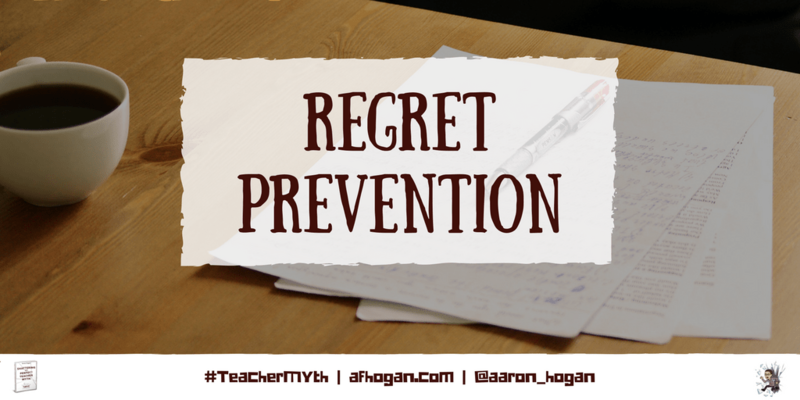 What will you do during the remainder of the school year to make sure you finish the semester without any regrets about a missed opportunity this year? If you like what you’re reading here, you might like my book, Shattering the Perfect Teacher Myth: 6 Truths That Will Help You THRIVE as an Educator. The book highlights six truths that will help you THRIVE as an educator. Get the book on Amazon or read more about the book here. Love this! So simple, but really powerful. We don’t reflect enough on the impact we make during the year.